The Nashville Jazz Workshop, in collaboration with the Frist Art Museum, announces the 13th season of the popular jazz performance and education series, Jazz on the Move. Each installment features a lecture and performance highlighting a major figure or period in jazz history. Presented by Nashville’s top jazz artist/educators, the series offers audiences world class music as well as an opportunity to learn more about jazz. Chet Baker was one of the pioneers of the “West Coast” jazz sound of the 1950’s. With his matinee idol good looks, lyrical trumpet solos, and smooth vocals, he seemingly “had it all.” Problems with drug addiction and the law overtook him in the 1960’s and stayed with him until his death in 1988. Through it all, however, he managed to produce great jazz and is widely regarded as one of the great trumpeters of the century. 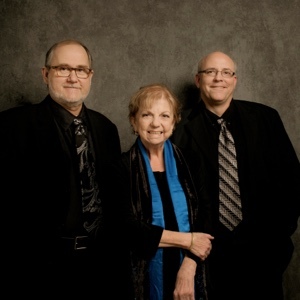 The program will be presented jointly by George Tidwell (trumpet) and Jim Ferguson (vocals) with Lori Mechem (piano), Roger Spencer (bass), and Duffy Jackson (drums). Miles Davis – trumpeter, bandleader, and composer – is widely considered to be one of the most influential musicians of the 20th century. Davis was at the forefront of some major developments in jazz music, including bebop, cool jazz, hard bop, modal jazz, and jazz fusion. Davis’ legendary musical groups elevated the careers of artists such as John Coltrane, Bill Evans, and Herbie Hancock among many others. Miles Davis’s album “Kind of Blue” was released by Columbia Records in August 1959. Featuring pianist Bill Evans, saxophonists Cannonball Adderly and John Coltrane, bassist Paul Chambers, and drummer Jimmy Cobb, the album was certified quadruple platinum by the Recording Industry Association of America (RIAA) in 2008. It is regarded by many as Davis’s masterpiece recording. Rolling Stone magazine ranked the album #12 on its 2003 list of the 500 greatest albums of all time. Nashville saxophonist Rahsaan Barber will present the afternoon’s program along with trumpeter Jamey Simmons, saxophonist Evan Cobb, Pianist Bruce Dudley, bassist Roger Spencer, and drummer Derrek Phillips. Nina Simone was a multitalented artist whose music spanned jazz, classical, blues, R&B, gospel, and pop. A gifted musician from an early age, she studied at Julliard before embarking on a career as a jazz singer. She recorded more than 40 albums between 1958 and 1974. She is most remembered today for her Civil Rights activism and protest music during the 1960’s and 70’s, which inspired many and also made her a controversial figure at the time. In her later years her musical output was uneven and her personal life erratic. Nevertheless, Nina Simone remains one of the most brilliant, challenging, and fascinating figures to grace the jazz scene. 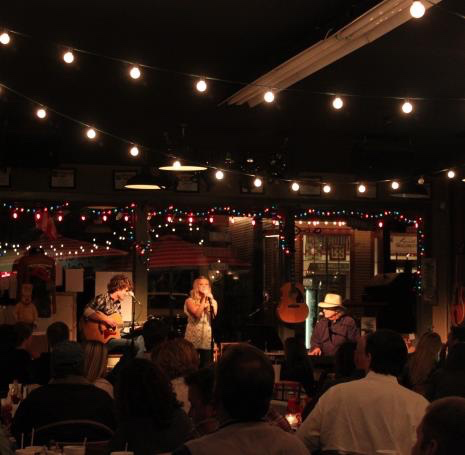 Dara Tucker is one of the most popular and versatile vocalists on Nashville’s jazz scene. She records extensively, tours nationally and internationally, and somehow has found time to teach Master Classes at the Nashville Jazz Workshop. Dara recently led a Jazz on the Move performance on the Life and Music of Nancy Wilson, and is currently teaching a class on the stylings of that jazz legend. Tenor saxophonist Stan Getz had a long and successful career, from the 1950’s until his death in 1991. He was noted for his warm sound and light touch, taking his inspiration from the style of Lester Young rather than the harder-edged tenor players of the day. Starting out in the Stan Kenton and Woody Herman bands, Getz soon established himself as a top-ranked soloist. In the the 1960’s he was the most identifiable American exponent of the Bossa Nova, and in his later career he produced a string of superb straight-ahead recordings. According to All About Jazz, he recorded over 150 albums over the course of four decades. Don Aliquo is a familiar figure on Middle Tennessee’s Jazz Scene. A noted educator and longtime faculty member in MTSU’s Jazz Studies program, Don has been a frequent Jazz on the Move presenter. The Jazz on the Move series is presented with support from ArkivJazz, Caterpillar Financial, Peter and Anne Neff, and Adam J. Liff. Those attending Jazz on the Move at the Frist will be able to visit the Frist’s exhibits free of charge, and will also receive discounted parking.